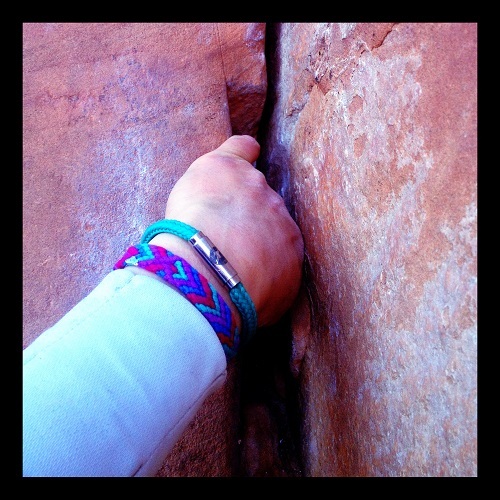 BOING bracelets are a range of bracelets and anklets inspired by tough, adventurous and outdoors lifestyle. They are designed and made in the UK, from genuine climbing and sailing ropes or leather braid, and appeal to men, women and children. 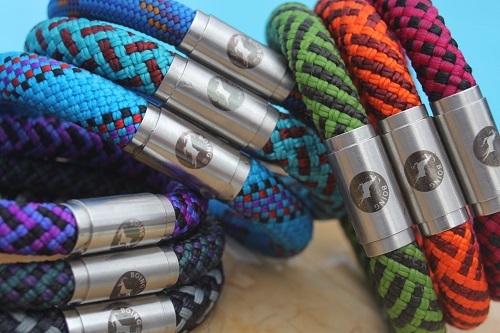 BOING also offers the service to convert your own rope into a wearable piece, so that life saving rope from Everest can become a treasured wearable accessory, or gift! The clasps are either stainless steel or solid silver, with plating options of Rose Gold, 18k Yellow Gold or the ultra hardwearing black PVD. 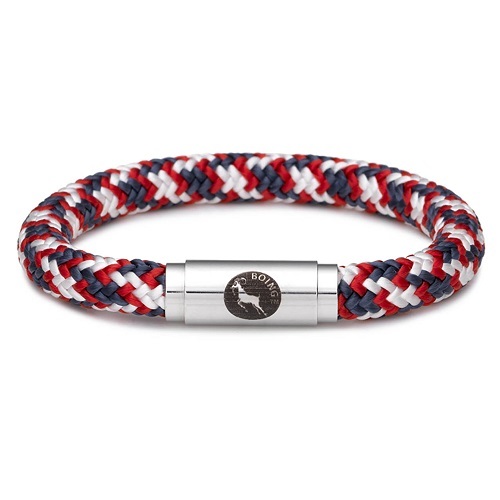 The bracelets are made in an extensive range of ropes and styles, with each stainless steel bracelet holding a 2year guarantee, and the precious metals bracelets a 1 year guarantee. BOING also offer engraving on the clasps allowing the clasp to be made to be super personalised and individual. The website shows a comprehensive range of bracelets and anklets in various different colours, thicknesses and wrap lengths, as some wrap around twice. BOING’s tag line #BOINGupyoulife, encourages wearers to tag in their product when wearing it whilst doing something exciting, interesting and adventurous, which is shared on social media creating a community of wearers who love the great outdoors. This entry was posted in News and tagged BOING, Bracelets. Bookmark the permalink.